O'hana at the Polynesian resort at Walt Disney World is one of my favorite restaurants. I have made the Disney recipe for the wings and they are amazing. The wings taste just as good as eating at O'hana. The only bad thing about eating the wings is how messy your hands and face can get. 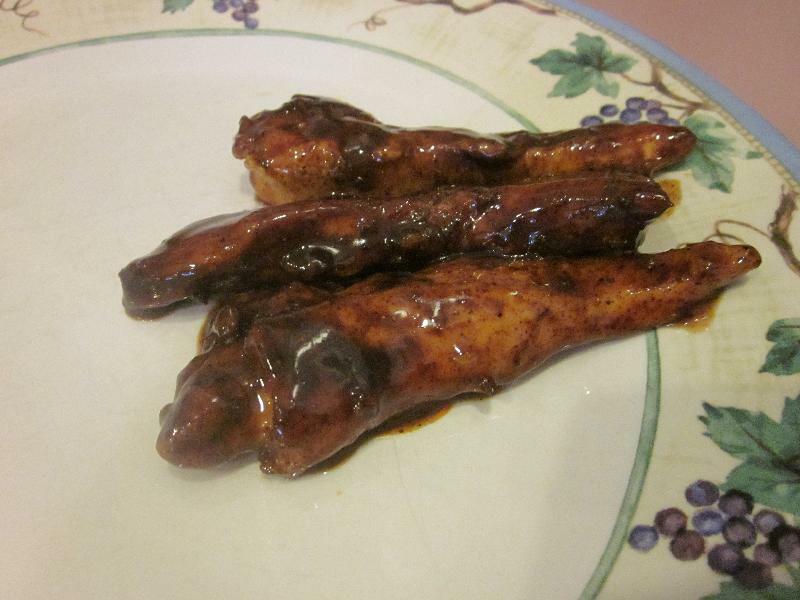 The last time I made a batch of the wings my husband and I both thought about using the sauce on chicken breasts. I used 2 chicken breasts, but I cut them up into tenders. You could save time if you buy chicken tenders at the store. Combine the salt, paprika, sugar, black pepper, turmeric,cinnamon, cayenne pepper, and canola oil in a large glass bowl. Then add in the chicken tenders and toss so that they are all coated well. Put the tenders on the baking sheet and cook for 15-20 minutes. .
Before serving toss in the sauce. While the tenders are cooking, combine the chili powder, ginger, coriander, lime juice, soy sauce, honey, water, and cornstarch in a pan. Cook over medium-high heat and bring to a boil. Stir occasionally until it becomes a syrup - about 5 minutes. Remove the pan from the heat but keep warm until ready to serve. Description: Forget the mess of wings, these tenders are perfect to eat!